When making a list of most successful celebrity marriages, your list can never get filled without mentioning the movie star Tom Hanks and his gorgeous wife actress Rita Wilson. The amazing couple has shown what it means to live together happily ever after. Undoubtedly, their marriage is a perfect example for young couples. 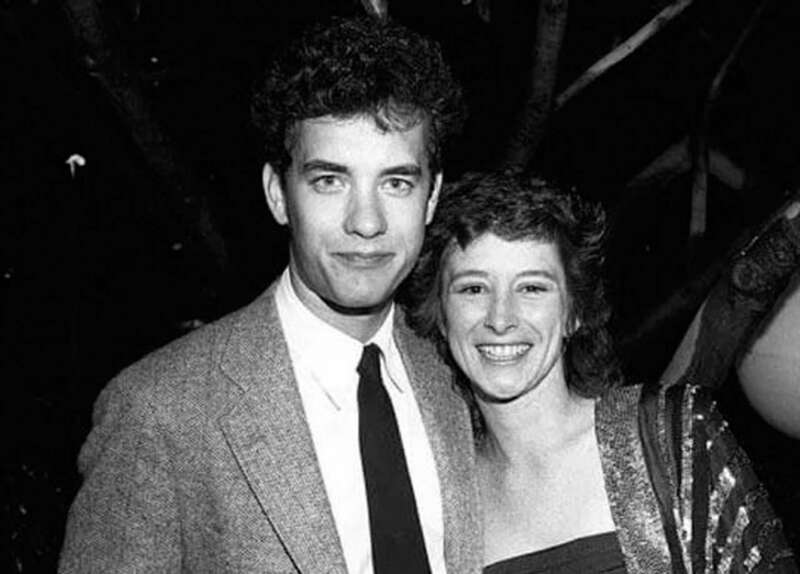 While the pair has been together for over 3 decades, it might interest you know that before their marriage; Tom Hanks was previously married to Samantha Lewes. Just like Rita, Samantha was also an actress and the mother of the successful Hollywood actor named Colin Hanks and his sister Elizabeth Hanks. Learn all there is to know about Tom Hanks first wife below. The actress Samantha Lewes was born as Susan Jane Dillingham on 29th November 1952. She was born to American parents John Raymond Dillingham and his wife Harriet Hall Dillingham in California, United States. Samantha was a very private person, hence, nothing much could be said about the childhood life of the actress, her parents, and siblings. Also, she never made her educational details open to the media. The much we know is that Samantha was well-educated and she developed a passion for acting from a very young age. While she was growing, Samantha was good friends with the veteran actor, Tom Hanks. Just like Tom, Samantha also pursued a career in acting. She starred in movies such as Bosom Buddies in 1980 as well as Mr. Success in 1984. There is not much information available for media consumption with regards to Samantha’s acting career. She came into the limelight after she married Tom Hanks in 1978. Samantha’s former spouse Tom Hanks is a renowned actor and film producer; best known for his works on movies such as Saving Mr. Banks, A League of their Own, Road to Perdition, and Apollo 13, among others. He has collaborated with major film directors including Steven Spielberg, Clint Eastwood, and many others. Born and raised in Concord, California in the United States; Tom completed his education at the Chabot College situated in Hayward, California. He began his acting career in 1977 and has starred in dozens of movies. He has also received wide recognition both as an actor as well as a filmmaker and has recorded a great number of awards in his name. During the early stages of his acting career, Tom and his long-term girlfriend and sweetheart Samantha Lewes got hitched in a small wedding held in 1978. Prior to their wedding, the pair welcomed their first child, a son named Colin Hanks in 1977, just a year before walking down the aisle. Five years later, their daughter Elizabeth Hanks was born in 1982. The couple was married for nine years before their blossoming union went up in flames. The couple went their separate ways in 1987. After their divorce, Samantha decided to keep a low profile while training their children Colin and Elizabeth. Tom, on the other hand, went on to marry another actress named Rita Wilson. The pair got hitched in 1988, apparently, one year after his separation from Lewes. They have two sons named Chester Hanks and Truman Hanks. While there was no news of Samantha’s subsequent relationships; Tom and Rita have continued to enjoy a wonderful union to date. They reside in Los Angeles, California and there is no sign of separation between them. Since Samantha Lewis separated from her spouse Tom Hanks, the actress resorted to living a low profile life void of the interference of the media. Later on, Samantha’s life took a different dimension when she was diagnosed with bone cancer. Lewes struggled with the deadly sickness for several years of her life before giving up the ghost. The sickness really affected everyone in her family including her former husband Tom Hanks. Tom in his own part, also played a vital role in providing her with moral support as well as the best medical treatment available. However, after many years of constant struggle and pains, the actress gave up the ghost in 2002. Her death occurred on 12th March 2002 and she died in her residence at Carmichael, Sacramento County, California at the age of 49. She was laid to rest at the East Lawn Memorial Park in Sacramento County, California. Sadly, Samantha Lewes might have gone to the world beyond but her legacy lives in the hearts of her children, family, and loved ones. Amazingly, her son Colin has become a successful actor in the American movie industry. Her daughter Elizabeth has equally become an actress and is also doing well for herself.